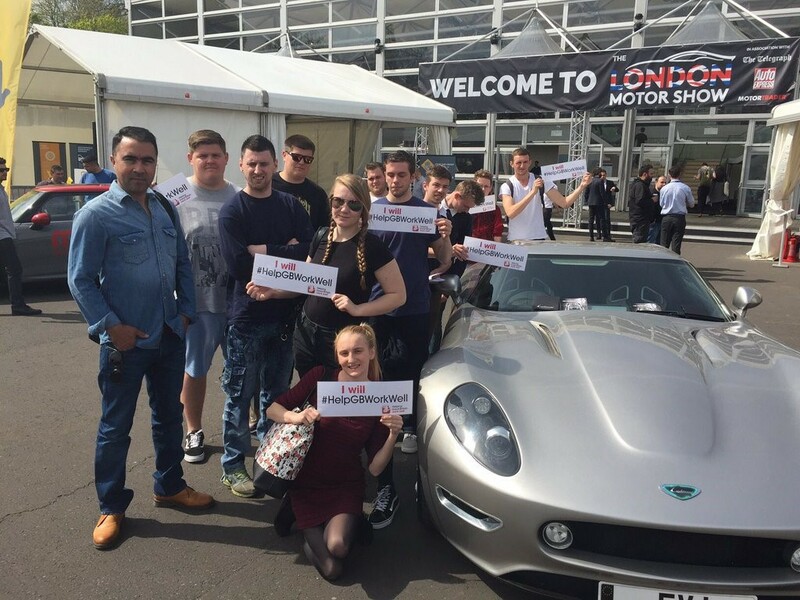 You may have heard of the LOcHER Project and you'd be forgiven for thinking that it just applied to schools or colleges. The campaign was initially designed for students in education so that they could be reached before they went out in to the world of work. However, the principles can apply to every workplace. 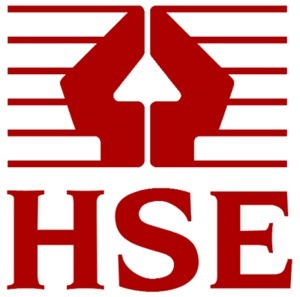 The LOcHER Project is part of the HSE's new Helping GB Work Well Strategy and was developed with Safety Groups UK, after an event the HSE ran in 2013 called Tackling Occupational Disease: Developing New Approaches. Ultimately the aim is to develop new approaches to learning occupational Health by experiencing risk. Karen Hoskins, managing director at IBIS Solutions and LOcHER Project steering group lead for Safety Groups UK, is dedicated to finding new and innovative ways to reach young people and others who might otherwise be difficult to influence through the usual channels of communication. Her work with the LOcHER Project has resulted in a number of presentations around the country. "As a result of these presentations it's been identified by health and safety professionals that taking a new approach to learning about occupational health could be just the ticket for many businesses," Karen observes. "Our experiences of developing new approaches to learn about occupational health with students, showed us that the learning experience was deeper and more meaningful when the students did their own research about the health hazards associated with their courses and devised their own methods of communicating the key messages, using their preferred choice of communication. 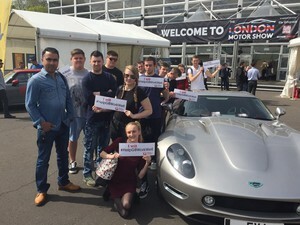 For example, the South Essex College students decided to film themselves (with their mobile phones) to create a documentary style film which could explain the health hazards and controls relating to paint spraying during Motor Vehicle Repair, to their fellow students. Its the 'aha' moments which occur during discovery which embed the learning." Dr Bob Rajan's sensory routes and recall rates pyramid clarifies that, if a student is in a college environment, or any person in their workplace, is just listening to HSE guidance, or listening to an occupational health presentation, they’re probably going to take in, about 5% of it. 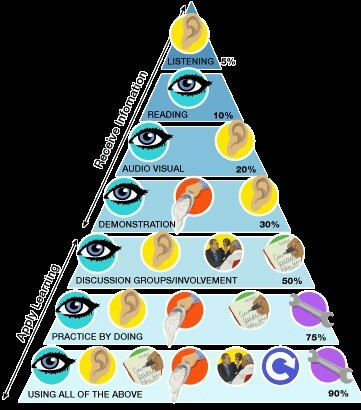 As you go further down the pyramid by getting them involved in group discussion, practical stuff, research, hands on experiences, consultation groups etc., the more they will retain. 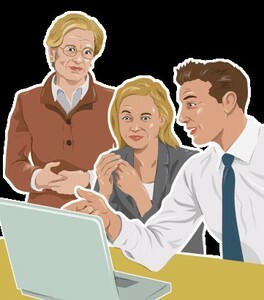 "If you asked your employees to follow a similar line, where they did their own research on the health hazards associated with their work activity, and they had to produce their choice of media for communication to their colleagues, you'd find that their learning, and retention of the key messages would be greatly enhanced," notes Karen, "more so than if they had sat and listened to a presentation. Its the practical element which enhances the recall rates. 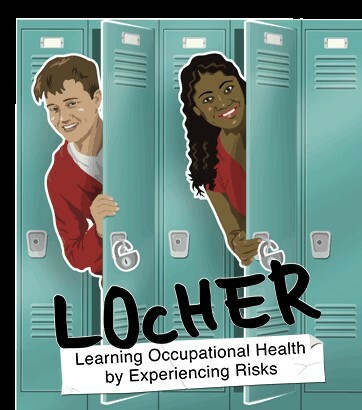 "The LOcHER Project has given us many powerful examples of the benefits of learning with this new approach, and these benefits are immediately transferable to businesses and workplaces. "In order to share the stories and provide inspiration for other businesses or colleges, we are about to release a new free online resource called LOcHER Project Showcase. As the name suggests it showcases the outcomes from colleges around the UK who have taken this new approach to learning about occupational health as part of the HSE’s new strategy #HelpGBWorkWell. "The LOcHER Project Showcase contains a number of online resources. For example, the students of South Essex College filmed their exploration of the Safe Removal of Gloves technique, preventing contamination when removing gloves after handling hazardous substances. Their mobile phone film shows the 'Glove Off Challenge' where other students, or workers challenge each other to remove gloves without contaminating their hands - it’s not as easy as it sounds! Asking people to learn in a practical way has much more impact than a simple chalk and talk style delivery." 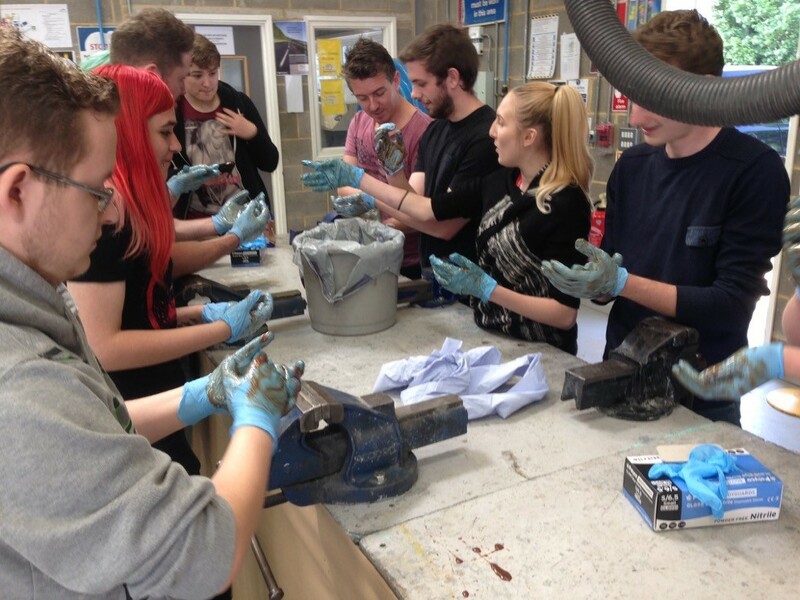 Similarly, Preston College's joinery students researched the controls associated with wood dust, experimenting with four different dust masks designed to provide respiratory protection. Their film documents their experiences as they test the level of protection provided by each mask using a vacuum cleaner and talcum powder. 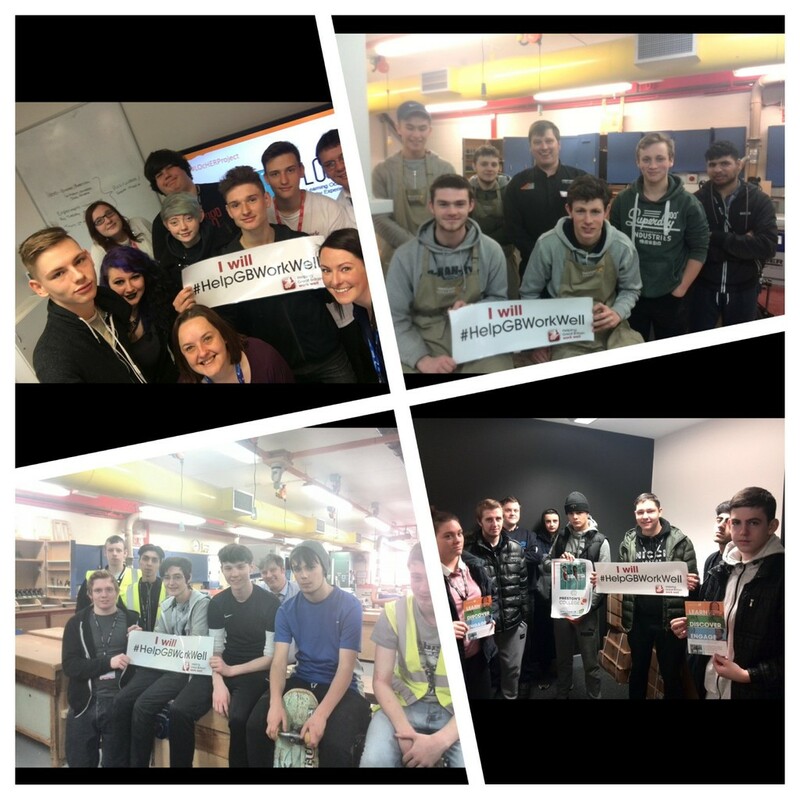 The Blackpool & The Fylde College students ran a LOcHER Project competition which saw 10 curriculum areas /departments submitting projects for the prestigous LOcHER Project Award. 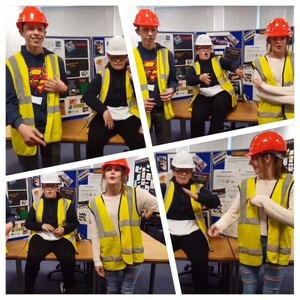 The winning group came from the construction course who wrote and produced an LOcHER Project Rap entitled: “Dust ‘n’ Boots”. To view this, search social media for #LOcHERproject #rap or search YouTube for: LOcHER Project Rap. Karen notes: "You can access the full version of the LOcHER Project Showcase from late September/early October 2017 and it’s free! Go to https://LOcHERproject.com/ or search the internet and social media for #LOcHERproject and you’ll find various sources of access to the LOcHER Project Showcase online resources, including from selected Chambers of Commerce around the country, who are also strong supporters of the LOcHER Project. "If you'd like to run a LOcHER Project in your workplace, please feel free to contact us for support and inspiration, but the LOcHER Project is basically a concept, that everybody has access to. Whether you’re a school or college, or even a workplace, you can get involved, you don’t have to ask permission, just go for it! If you get good results that you’re proud of, tell us and we’ll tweet about it! #LOcHERproject." If you'd like to find out how the LOcHER Project can help you in your own workplace, contact the support team at https://LOcHERproject.com/contact/ "Try it," says Karen, "and let us know how you get on."